niou rou mian: The national dish of Taiwan – braised beef, thick noodles, and veggies in flavorful broth that has been simmered for hours. 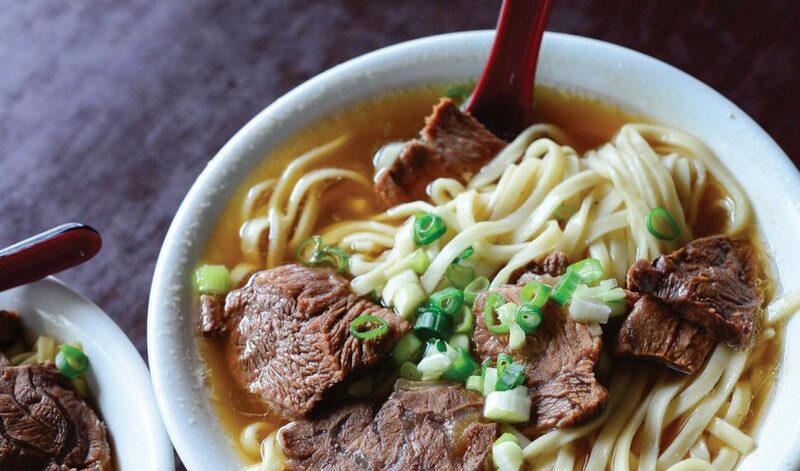 This quintessential comfort food has no single component more important than the others; the broth must be light but flavorful, the beef should fall apart in your mouth, and the noodles perfectly chewy (or “qq”, as the Taiwanese say.) You can literally get this anywhere in Taiwan. 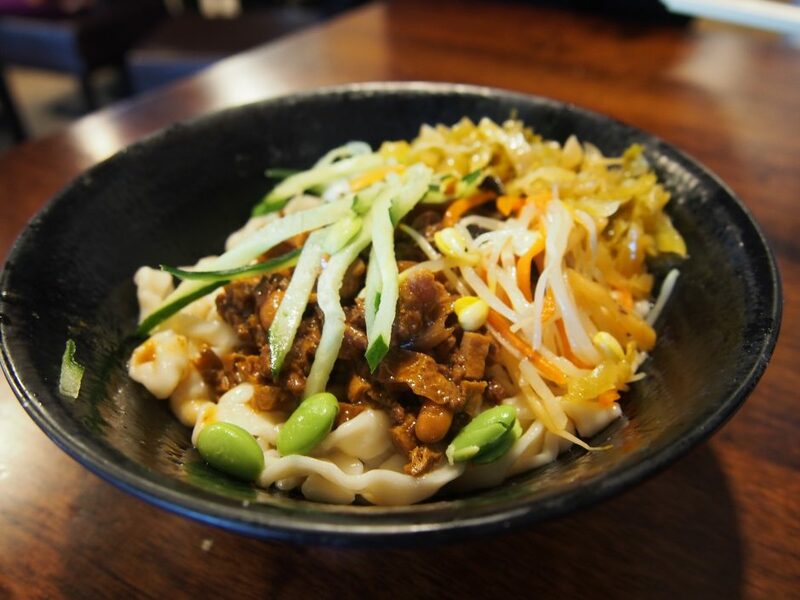 Just ask a local where their favorite niu rou mian is – and don’t be surprised if they point you to a family-run hole in the wall with plastic stools and no air conditioning, or a stall at the market where they only serve it in takeaway containers. I’ll throw in another noodle soup variation because if I could have one food for the rest of my life, it would be noodles! 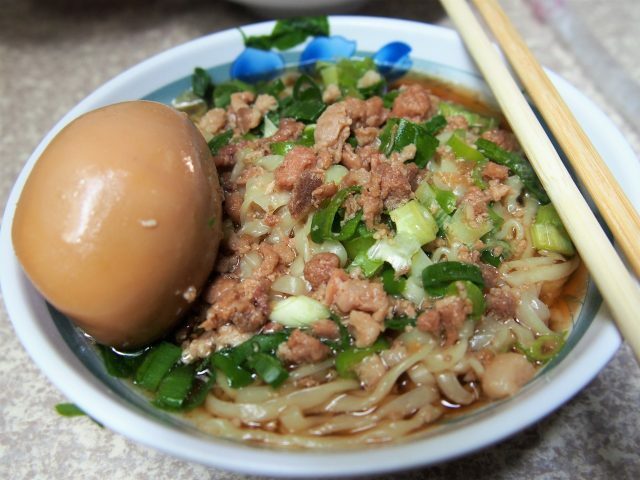 These egg noodles are called yi mian (伊麵 ), served with ground beef and an egg braised in soy sauce. 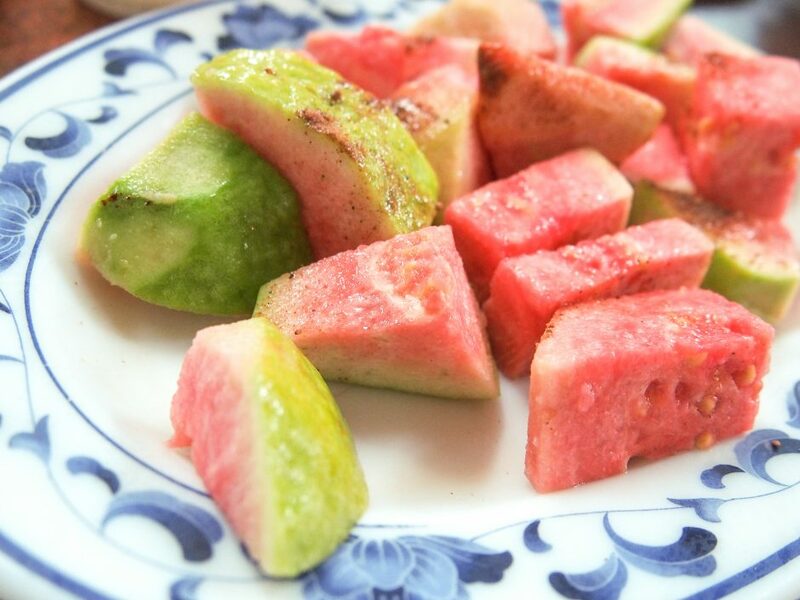 My grandparents’ hometown of Nantou is known for this dish! In case you’re wondering, as long as you can recognize the character for noodle (麵) on a menu, you’ll do just fine in Taiwan. 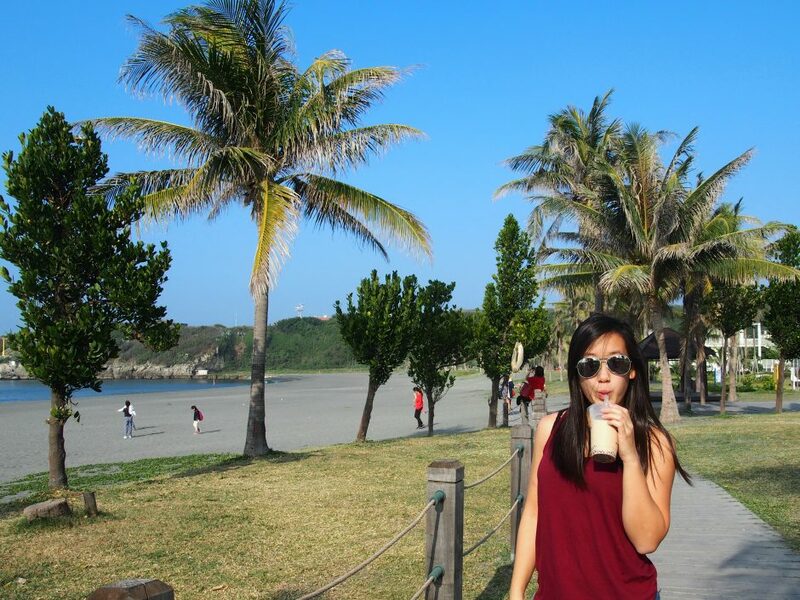 boba nai cha: While the concept is now highly Westernized, lending itself to crazy slushy flavors and fruity add-ins, the original Taiwanese drink is strong black tea with milk and tapoica pearls (aka bubbles, aka boba). 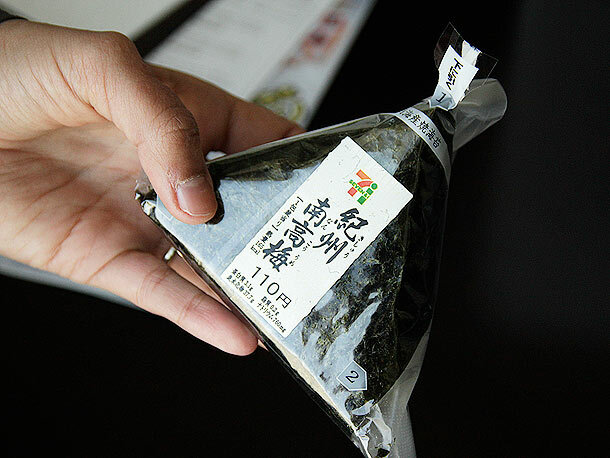 The pearls are chewy – again with that “qq” texture – and somewhat of an acquired taste. I’m really more of a fan of the tea than the bubbles, so I like to also get mine with red bean to sweeten the tea instead of bubbles. These crunchy bites of chicken, tossed in fragrant “five spice powder” and fried with basil leaves, are starting to make their way into bubble tea shops around the US, but only for 5x the cost! Di gua qiu resemble yellow (and sometimes purple) donut holes, and they’re just as bad for you (if not worse). They are served piping hot in little paper bags or on a stick, and are kind of comparable to hushpuppies on the outside and mochi on the inside (just lightly sweet). 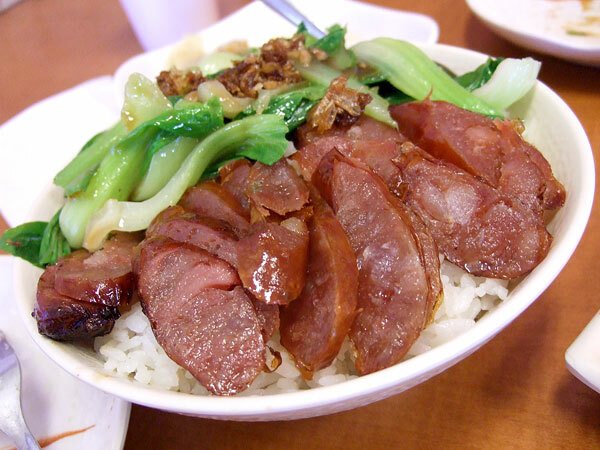 You may notice a pattern of street foods (xiao chi) being served on a stick, and Taiwanese sausage is no exception. 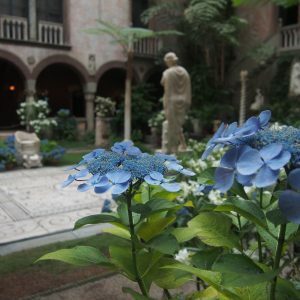 The links are usually on the small side, and either on a skewer whole or cut into thin slices at a diagonal angle. In this photo it’s served over rice, another one of my guilty pleasures. 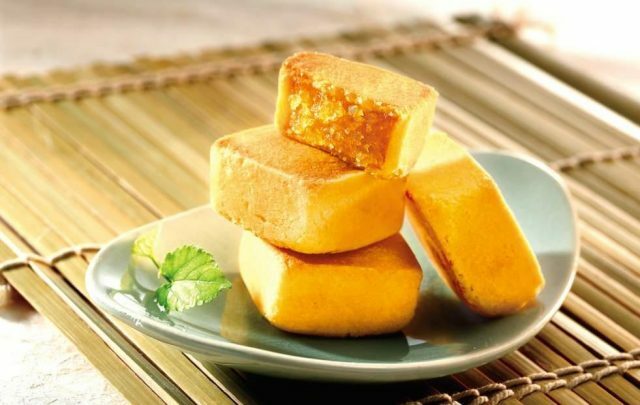 The Taiwanese palette tends to favor the sweet-and-salty combination, with a lot of marinades using brown sugar. This sausage is no exception, with a slightly sweet flavor that distinguishes it from other traditionally spicy or smoky flavored sausages. Being a subtropical climate, Taiwan’s fruit game is very strong. 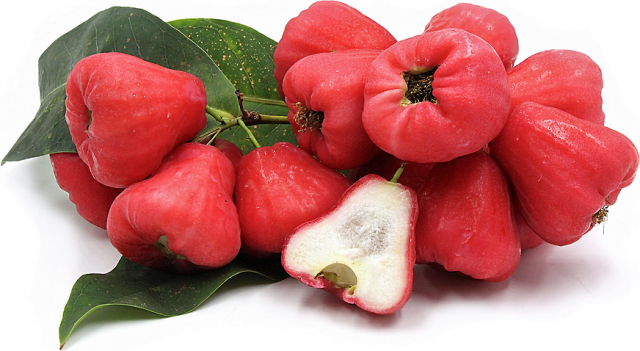 Depending on the season, you can find mangoes the size of papayas, lychees, dragonfruit, pink and white guava, starfruit, and my all-time favorite: “wax apple”. xiao long bao: Dumpling empire Din Tai Fung is the holy grail of soup dumplings (minced pork wrapped in paper-thin dough, steamed in bamboo baskets yielding a mouthful of savory broth when you bite into each dumpling). 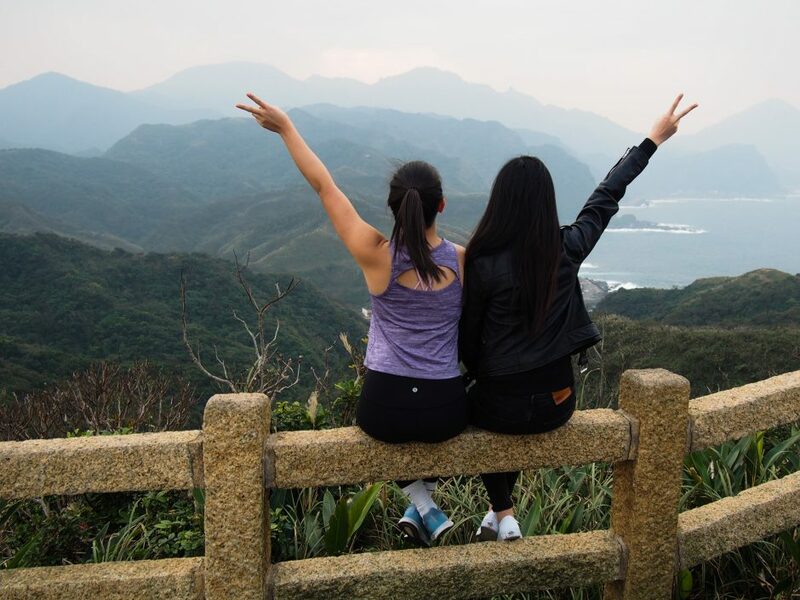 The dish (and the restaurant) is well-known by Westerners in part thanks to Anthony Bourdain’s Taipei episode of The Layover, in which he describes XLB as a “deeply religious experience.” He’s not wrong! The Taiwanese restaurant has expanded around the world, but the location closest to me is Seattle…(not helpful). 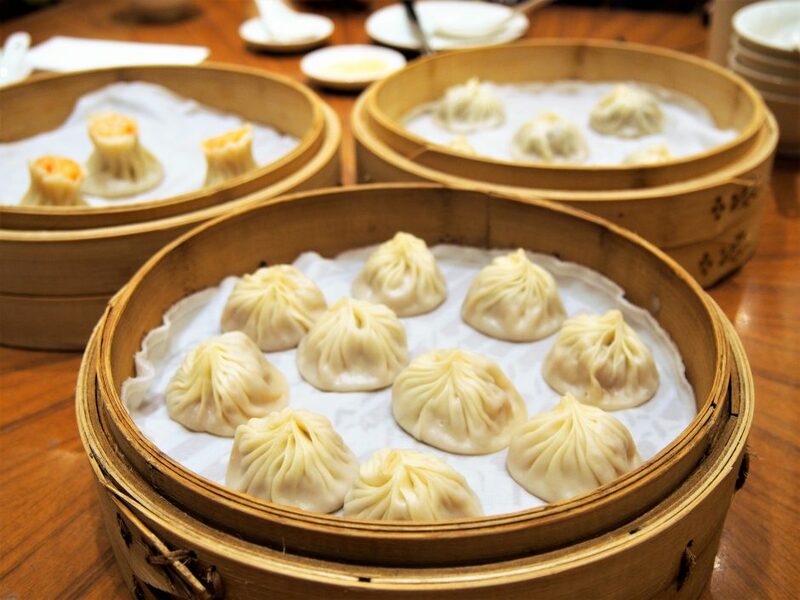 If you’re new to the XLB experience, checkout Migrationlogy’s guide on how to eat soup dumplings so you don’t scald your mouth or drip soup down your chin! mian ge da: lesser known than anything else on this list, these dumpling knots are a cross between noodle and dumpling with no filling. The dish can be tough to find in restaurants because of its origin as scrappy food, if you will (during wartime, rice wasn’t as available as wheat flour). cong you bing: Every country has its variations of fried dough, and I usually don’t discriminate. 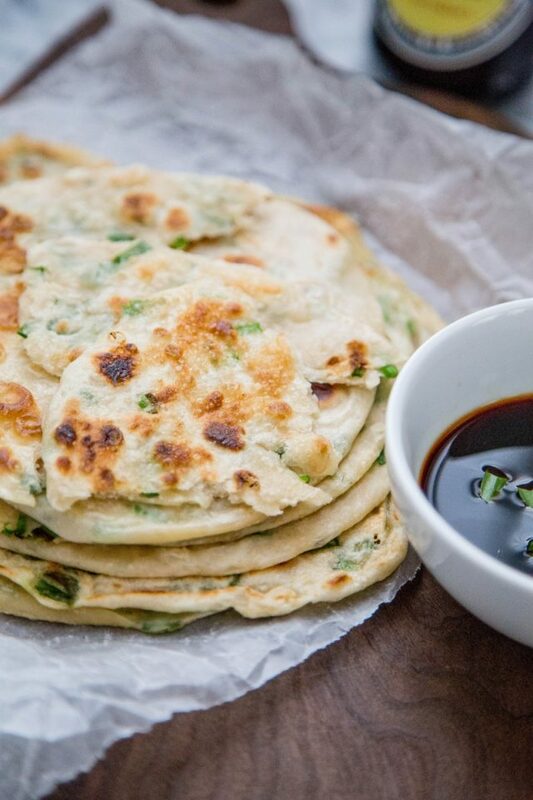 These savory pan-friend “scallion pancakes” are probably #1 in my book; I grew up on this, even in the States because you can find it frozen in Asian grocery stores. 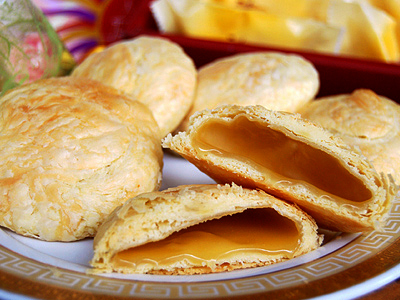 With an egg rolled inside, as my mom always makes it, cong you bing is similar to its thinner counterpart dan bing. The folding and rolling process of cong you bing makes the pan-fried dough flaky, kind of like laminating the dough for croissants. dan bing (literally: egg biscuit”) – not to be confused with its fluffier big sister, da bing (literally: “big biscuit”). 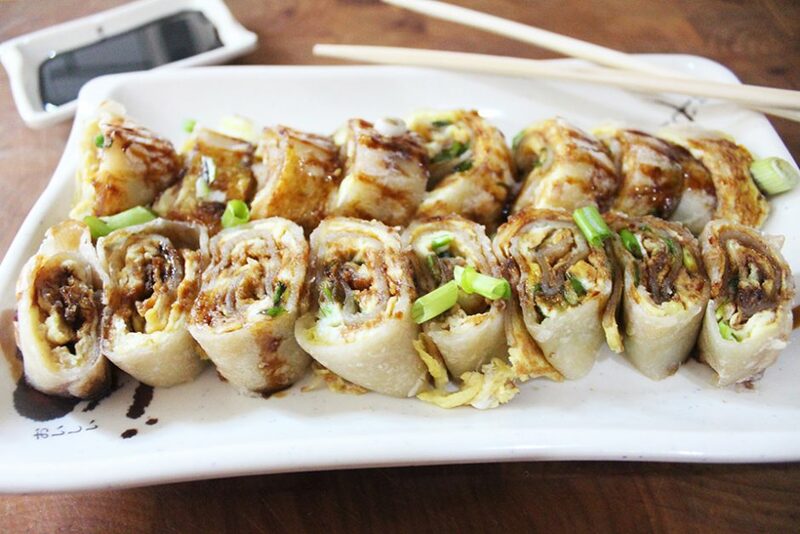 Dan bing is made with more of a crepe-like batter than dough, and rolled up with egg and scallions. 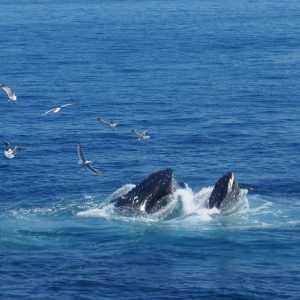 Traditionally, it’s served for breakfast with a thick soy sauce for dipping, alongside soy milk and other savory carbs. 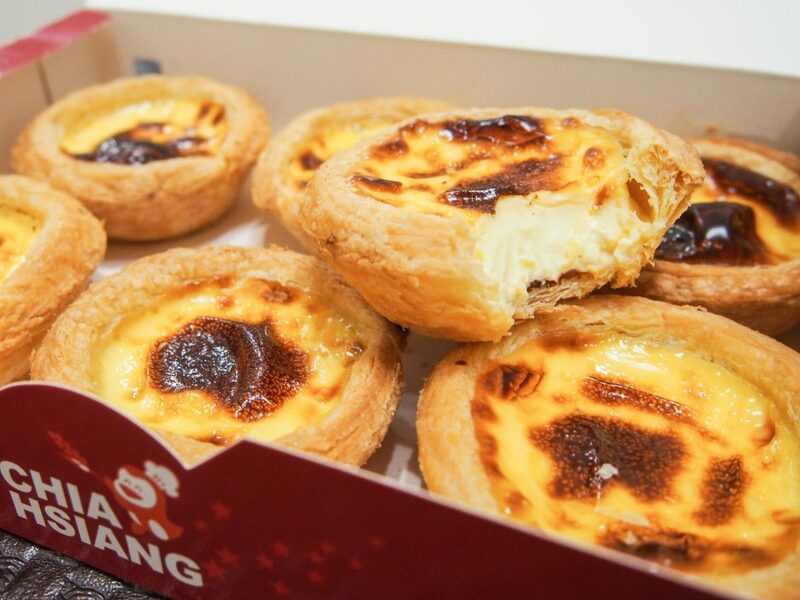 Egg custard tarts are a walk down memory lane, from my family’s regular trips to the Chinese bakery as a kid. I have a distinct memory of not being able to see over the counter when we went up to the register with our trays to pay after picking out our various breads and pastries. Imagine my surprise when I found out the Portuguese boast a very similar pastry, pastéis de nata… As if I needed another reason for Portugal to be at the top of my European travel bucket list! 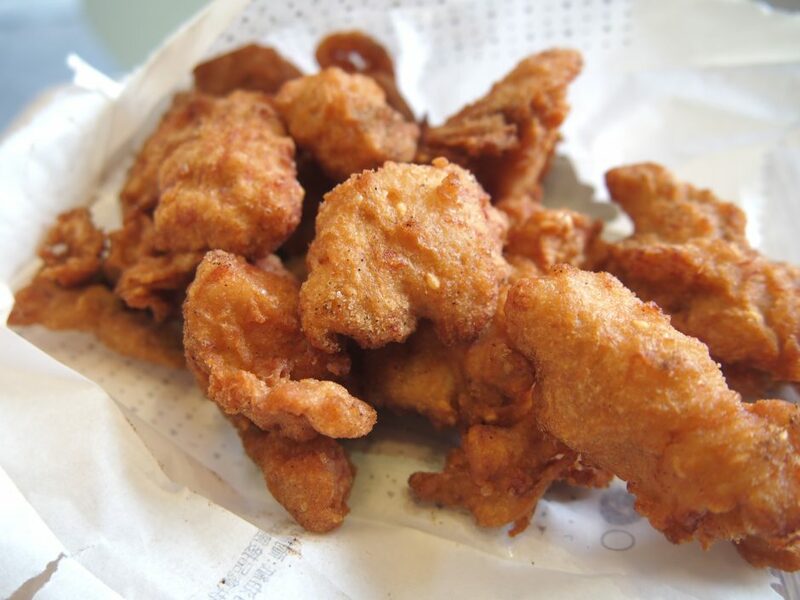 Fun fact: they sell these at KFC In Taiwan (and they’re pretty good)! Once upon a time, my sister brought a strawberry-flavored version of this dessert to share with friends at school. “It’s pineapple cake! But… not pineapple, and not cake,” she said. You see, her little sister was not yet a food blogger who could articulate pineapple cake as “shortbread encased with thick pineapple jam” – lest anyone get confused with images of pineapple upside-down cake. You can find lots of flavor variations, but classic pineapple is the way to go. And if you don’t like pineapple, me neither! But, I promise they don’t taste like what you think of when you imagine pineapple desserts! Pineapple cakes in nice gift boxes are hands down the most well-known souvenir that people bring back from Taiwan, even though they’re sold at some US Costcos now. The flavor and texture can vary quite drastically from bakery to bakery, but my favorite (and most would agree) is easily Chia Te in Taipei. 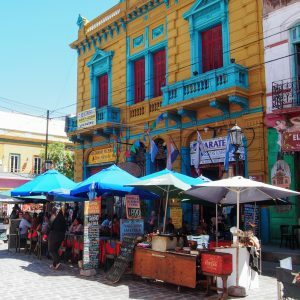 The line to get into the bakery is usually out the door, but it moves fair quickly as they have a good system in place to accommodate the crowds buying pastries in bulk as gifts. 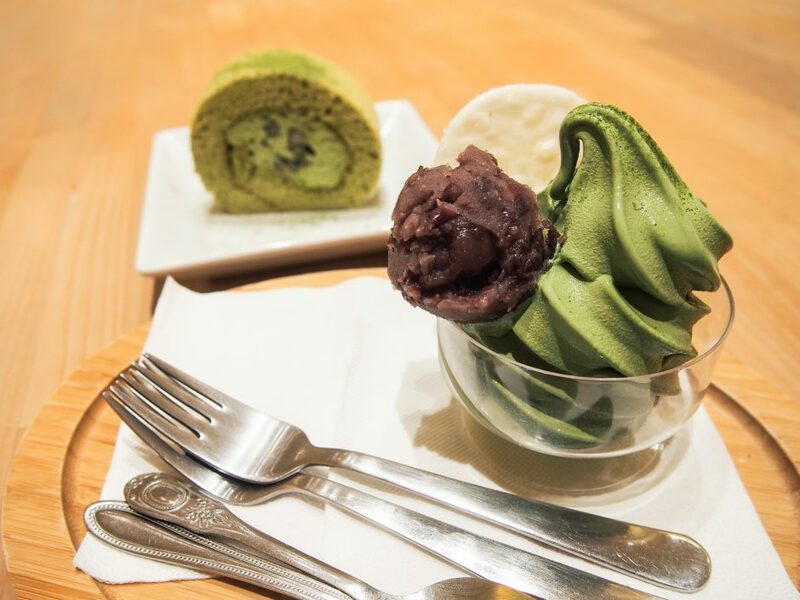 Last but not least, another nod to the Japanese culinary influence in Taiwan is the ominpresence of matcha desserts. I’ve always loved the light, slightly grassy flavor of powdered green tea and I am not mad about how trendy it is to put matcha in everything these days! In Taiwan, grocery stores (and 7-11s) carry matcha flavored Kit Kats, biscuits, Pocky, chocolate, Oreos, wafers, donuts (ugh I forgot to include Mister Donut’spon de ring mochi donuts)… The real matcha desserts near and dear to my heart are ice cream and swiss rolls with red bean, pictured above. 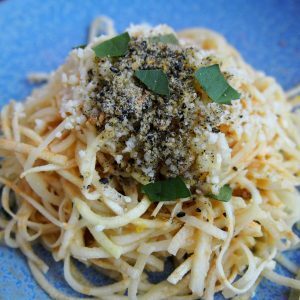 You really can’t go wrong with that flavor combination! If you made it all the way to the end, thanks for sticking with me! 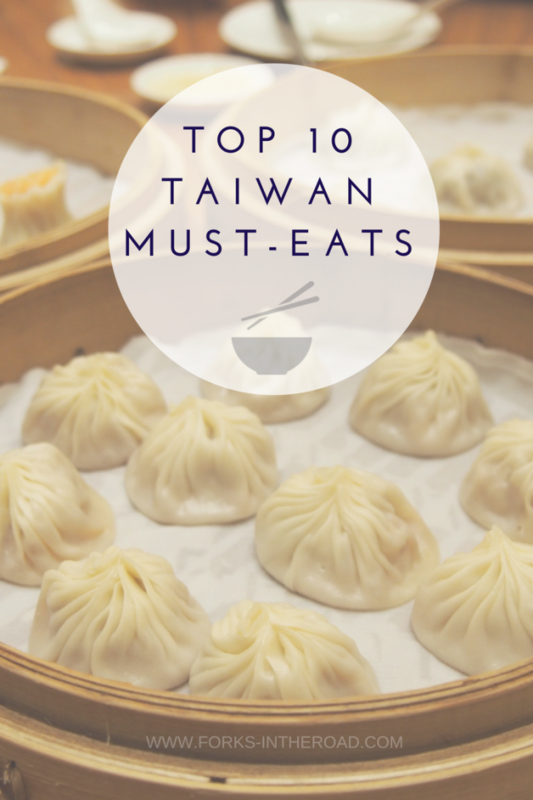 I had a really hard time writing this post because I would get hungry every time I opened up the draft and have to go find a snack… if you are lucky enough to be in Taiwan or have an upcoming trip, stuff your face and tag me in your pics @forks_intheroad!